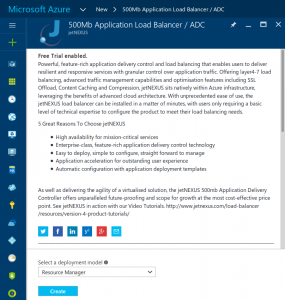 This guide is intended to provide an overview of jetNEXUS ALB-X for Azure. 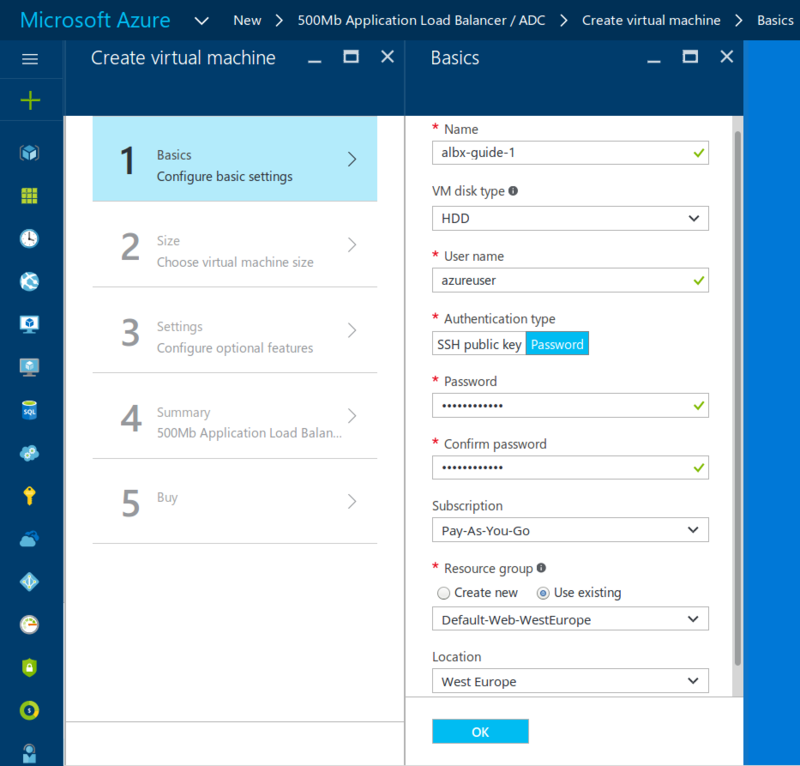 It will describe the process to find, build and setup our advanced Layer7 accelerating load balancer in the Microsoft Azure infrastructure with Resource Manager. 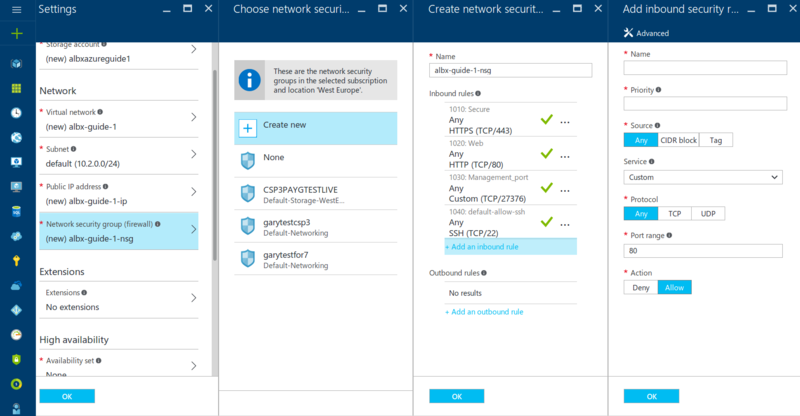 Virtual machines in the same cloud service or virtual network can communicate with each other directly using their private IP addresses. 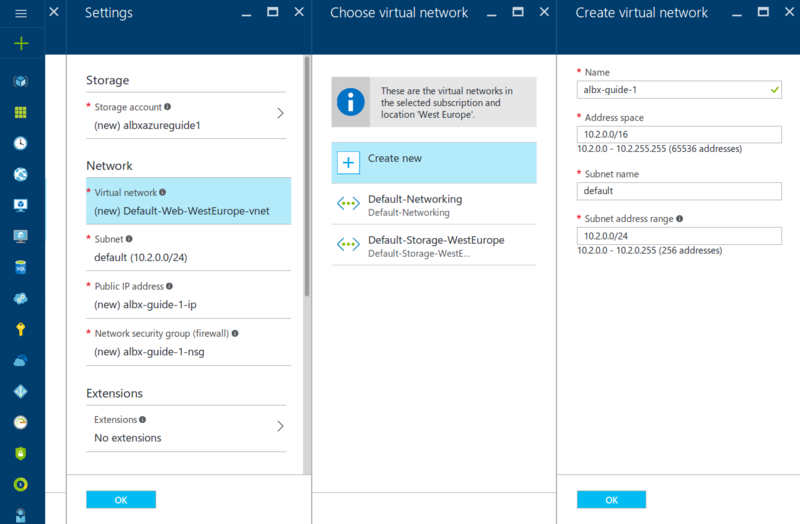 Computers and services outside the cloud service or virtual network can only communicate with virtual machines in a cloud service or virtual network with a configured endpoint. 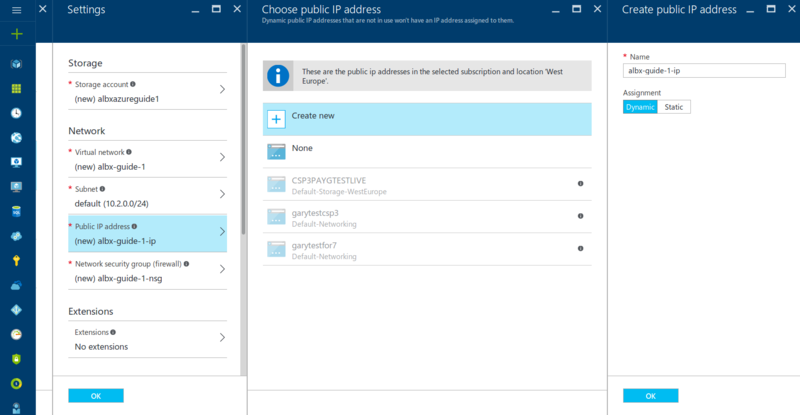 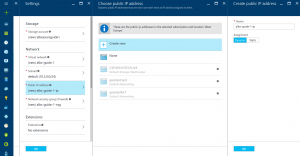 An endpoint is a mapping of a public IP address and port to that private IP address and port of a virtual machine or web role within an Azure cloud service. 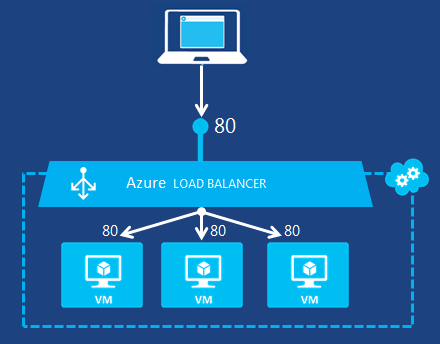 The Azure Load Balancer randomly distributes a specific type of incoming traffic across multiple virtual machines or services in a configuration known as a load-balanced set. 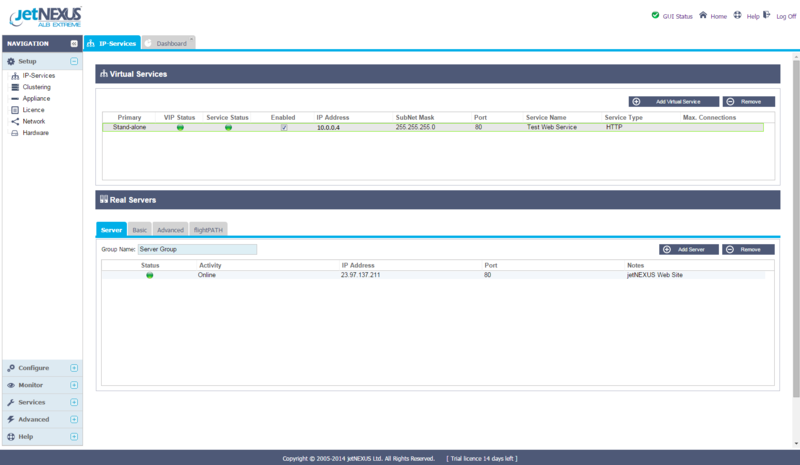 For example, you can spread the load of web request traffic across multiple web servers or web roles. 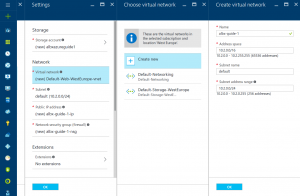 The following figure shows a load-balanced endpoint for standard (unencrypted) web traffic that is shared among three virtual machines for the public and private TCP port of 80. 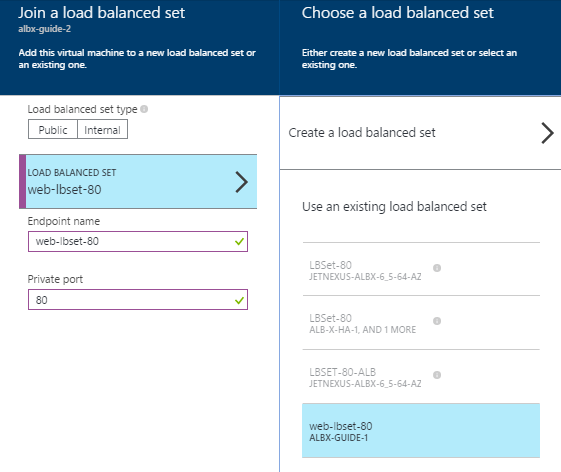 These three virtual machines are in a load-balanced set. Whilst the Azure Load Balancer provides layer 4 load balancing for yourcloud service, the jetNEXUS ALB-X offers application delivery and optimisation features such as Layer 7 load balancing with session persistence, traffic manipulation, content caching, compression and SSL offload to name but a few. 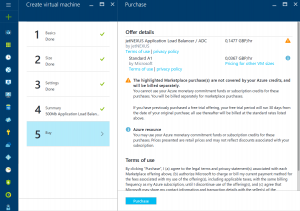 The jetNEXUS ALB-X also provides granular control of the real servers allowing you to take real servers in and out of service on the fly without losing connectivity. 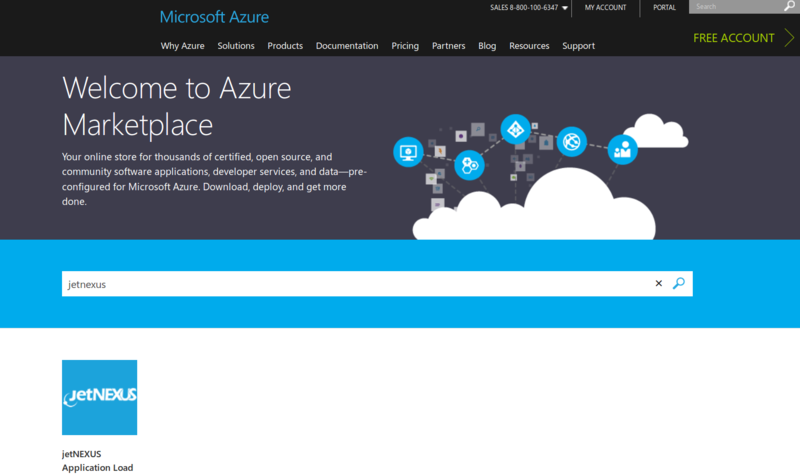 Please follow this link for the full list of features. 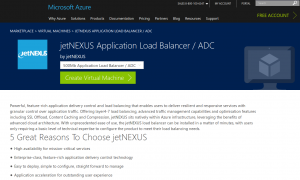 There are a few ways that you may want to deploy your jetNEXUS ALB-X in azure. 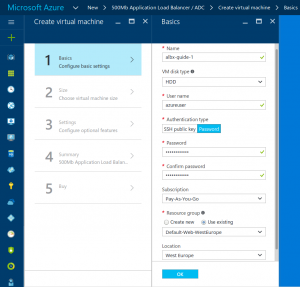 edgeNEXUS recommends deploying in a highly available (HA) configuration. and as such the connectivity modes of Transparency and Gateway will not work. 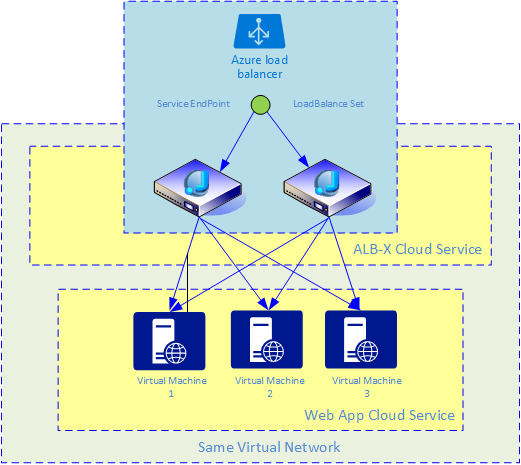 All ALB-X virtual services in Azure share the same IP address so Clustering between ALB-X is not possible at this stage. 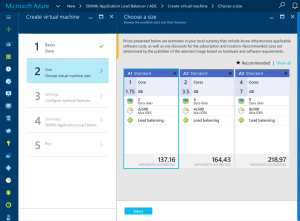 You must configure each ALB-X individually. 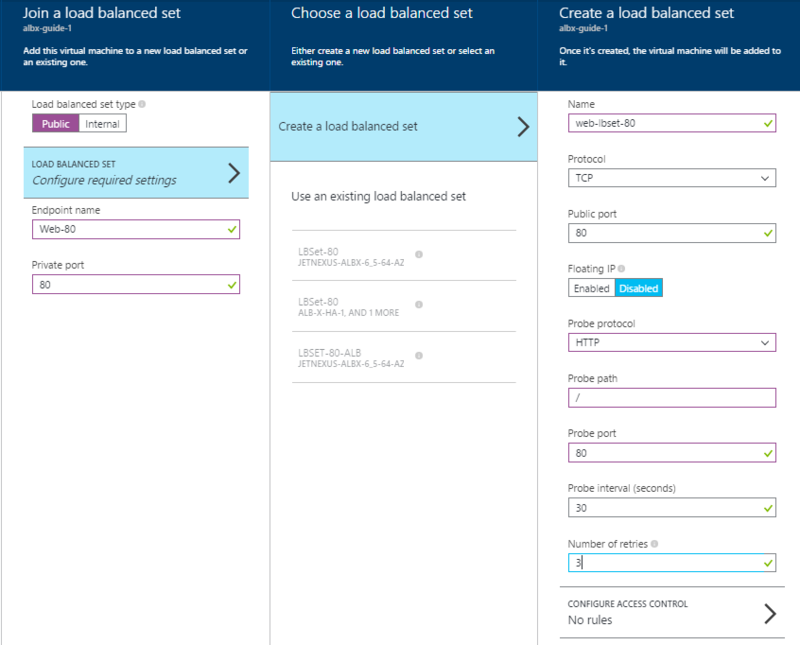 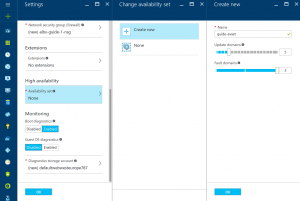 We are working on a method to synchronize configurations in Azure. 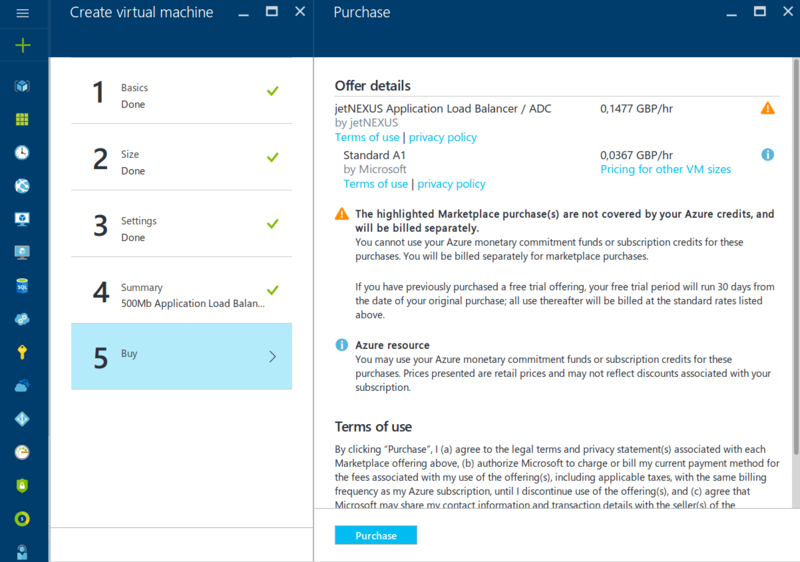 To provide redundancy to your application, we recommend that you group two or more virtual machines in an Availability Set. 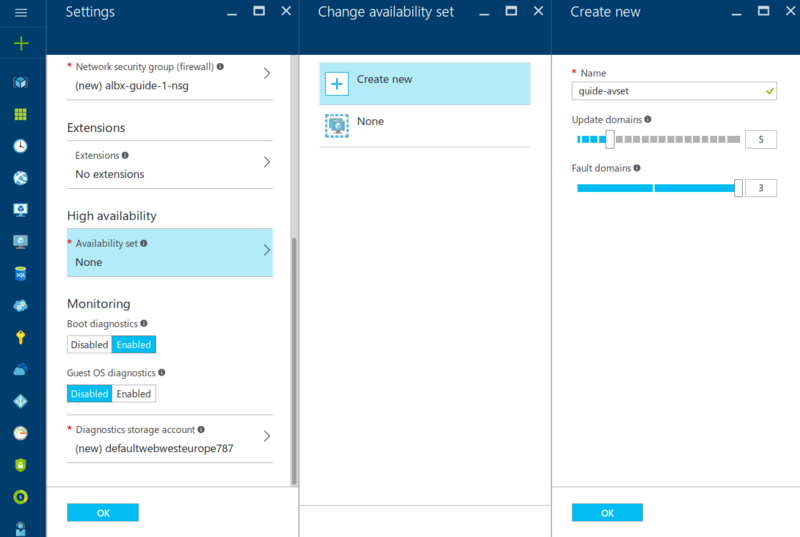 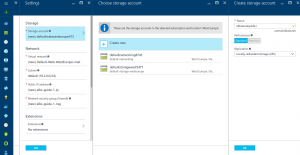 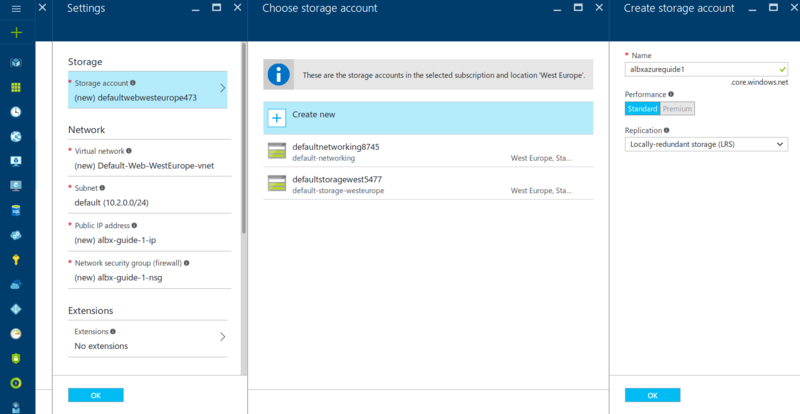 This configuration ensures that during either a planned or unplanned maintenance event, at least one virtual machine will be available and meet the 99.95% Azure SLA. Azure ALB-X current deploys with a 14 day licence. 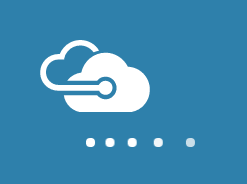 Please contact sales@edgenexus.io and they will issue a license based on your MachineID.